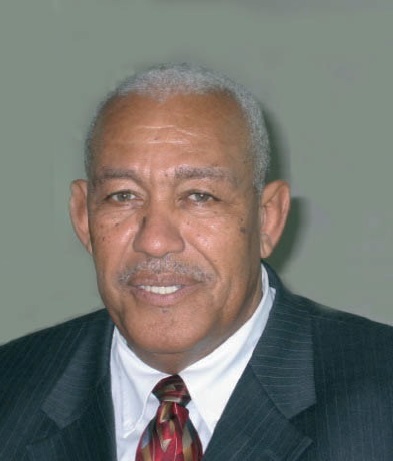 Caribbean Elections Biography | Vere Bird Jr.
Vere Cornwall Bird, Jr. (October 1936 - 31 March 2013) was an Antiguan lawyer and politician who served as chairman of the Antigua Labour Party (ALP) and a government minister. He is the son of Vere Bird, the former Prime Minister of Antigua and Barbuda, and brother of Lester Bird, who later held the same position. Vere Bird Junior, born in October 1936, was the eldest son of Vere Bird Sr., the former Prime Minister of Antigua and Barbuda, and Doris Lydia Bird. His siblings include Lester, also a former Prime Minister, Ivor, who owns a radio station, Curtis, a lawyer, Roswald, a teacher, and Lisette. He studied law in England and practiced hisprofession in Antigua and Barbuda. Bird entered politics in 1981. Three years later he was elected to the House of Representatives and became Minister of Aviation, Public Information and Public Utilities. As minister, Bird conducted a purchase deal for Dominican water before being made Minister of Public Works and Communications on 1 January 1987. In this role, he oversaw the reconstruction of V. C. Bird International Airport, which was the subject of controversy after it was discovered that he had granted a contract for the construction of a new runway to a company in which he was a shareholder. This led to conflict within the ALP, but Bird remained a minister. He was later fired after a scandal in which Israeli weapons, sold to Antigua and Barbuda, were found in the hands of the Medellín Cartel of Colombian drug smugglers – it was discovered that the weapons had been transferred at Bird's instruction, and a report by Sir Louis Blom-Cooper recommended that he be prohibited from holding public office again. Despite this decision, Bird returned to government on 15 May 1996 as Minister of Science, Technology and Communications, with a transfer to the Ministry of Trade, Industry and Business Development following the 1999 general election. In 2000, he became Minister of Agriculture, Lands and Fisheries; in this role, he negotiated an end to the Antiguan boycott of agricultural goods from Trinidad and Tobago. The ALP lost the 2004 general election and were replaced by a United Progressive Party government under Baldwin Spencer. Bird remained involved in politics, and along with six other senior ALP members was arrested in 2009 after an unauthorised May Day rally. The seven politicians were found guilty of public order offences, although the trial was delayed following a seizure suffered by Bird. Bird suffered two more seizures in 2010, after the completion of the trial, and died on 31 March 2013 (aged 76) of heart failure. He was accorded an Official Funeral at the Ebenezer Methodist Church, and was laid to rest at the St John’s Public Cemetery.